The horrible book to go with the TV series! 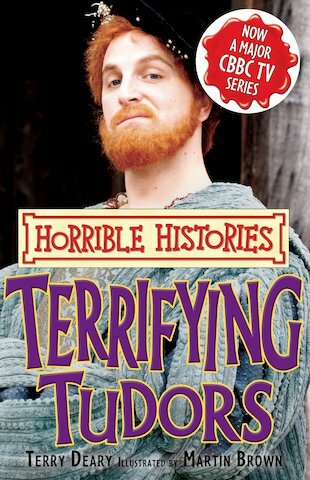 Do you like your history horrifying? Then the Terrifying Tudors will tantalise you! Shudder at the mad Tudor monarchs and their suffering subjects, who were always losing their heads. Discover what Tudors did in the good times and the gory times, from their great goose fairs and foul festivals to the terrible tricks of their ruthless royal family. If the Terrible Tudors weren’t enough trouble the first time round, it’s time to take a second look!